The constructor is not a design professional and must obtain the services of appropriate supporting registered professionals or supporting certified and qualified contributors early in the construction phase of the project to allow for appropriate communications and co-ordination with the registered professional of record (RPR). Describing the contractor’s design obligations is not a new or unique concept. 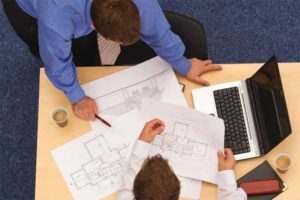 Design professionals have deferred aspects of design responsibility to contractors as long as there have been architects, engineers, and contractors. 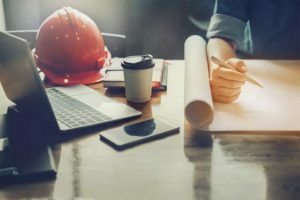 Deferring design works best when final design of specific elements is resolved as a component of construction deliverables, rather than a detailed portion of the construction document set. The constructor has traditionally been responsible for design solutions associated with constructability (means and methods). 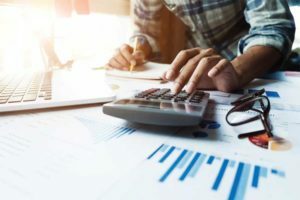 There are cost benefits to the project when deferred design components form a part of the constructor’s solution that fits within their responsibilities for means and methods through effective scheduling and elimination of potential rework. For example, the RPR may provide the engineering information associated with connections between steel members or accumulated building load paths required for design of foundation components (piles, piers, and similar structures), while the constructor provides shop drawings containing the final design solutions. These solutions are prepared by a supporting registered professional to meet building code requirements for design responsibility, but the supporting registered professional does not take responsibility for the engineering of those components (which remains with the RPR). The increasing complexity of construction through the latter half of the 20th century means it is becoming more common for design components to be described as forming a part of the constructor’s design contribution. This includes design of building elements not strictly associated with engineered outcomes of construction methodology. These components are typically pre-engineered (i.e. not requiring site-specific engineering) or require specialist contributions RPRs do not have within their knowledge base or experience. There is increasing responsibility for building envelope and fire-protective solutions, conveying systems, and other pre-engineered elements forming a part of the deferred or collaborative design assigned or delegated as part of the contractor’s project deliverables. These form the basis for discussion in this practice guide. It is the contractor’s responsibility to co-ordinate between components forming deferred design content and the construction documents provided for the project. Deferred design is not intended to defer engineering. The RPR is fully responsible for indicating required performance and engineering within the documents provided to the constructor. As indicated in Part 1 of this series, the concept of ‘design’ versus ‘engineering’ is critical in communicating what responsibility is being deferred to the constructor. One example of inappropriate deferred engineering could occur if a structural engineer unintentionally omits critical annotations fully describing the size of steel members and the loads and eccentricities associated with connections between them. The final delegated design requirement from the constructor is the connection solutions provided by the steel fabricator based on the engineering information within the documents supplied by the structural engineer. If information is omitted, the steel fabricator may become responsible for confirmation of the sizes of the steel members. However, this should not be the fabricator’s responsibility unless clear direction for that component is also provided through identification of any engineering requirement in the specification documents. Engineering (building code compliance) cannot be delegated. However, many professional design practices have inadvertently delegated engineering through the improper application of notes on drawings indicating a delegated design requirement without or with incomplete engineering direction, causing professional responsibility to the project to be questioned by contractors. Often, the ‘delegated design’ annotation is written on a drawing set by a well-meaning technologist that did not confer with the RPR. The RPR responsible for that component of engineering is the only person who can direct the need for delegated design. Deferred design does not improperly shift design responsibility to the constructor as long as the documentation provided by the RPR states clearly the limits of design involvement and describes the required design solution using explicit language. The following example shows even the best of intentions are not generally good enough when it comes to who decides what gets delegated. In one case of unintentional delegated design arising from these authors’ own drawings, no loads were provided for the design of lightweight steel framing to support an aluminum storefront. When the constructor’s supporting design professional questioned the lack of engineering information, they were instructed to proceed based on their own design assumptions. This essentially meant the RPR relinquished its commitment and assurance for compliance submitted to the authorities having jurisdiction (AHJs), an offence that could have resulted in loss of professional status for the licensed designer if a continued pattern showed failure to provide necessary information for the constructor. This could have been far worse if the structure subsequently failed and caused harm to an individual. Most registered architects and licensed interior designers continue to provide components as delegated engineering for items such as handrails and guards, tall partitions, and supporting metal fabrications, a practice that has become commonplace within the design community. However, this illustrates a similar lack of the engineering information necessary to complete the assignment of design responsibility to the constructor. These components are viewed as esthetic, and do not receive the engineering input required to appropriately delegate. Esthetics cannot be delegated. Although this is not a building code compliance issue, there are similarities in this part of the discussion that will become more apparent when discussing assigned design in Part 3 of this series. When it comes to esthetic components requiring input from a supporting registered professional, the RPR has an obligation to indicate the path for loads applied to these components, meaning details must contain information providing plausible sizes of members subjected to those loads. There must be clear indication of the expected level of finish contained on the drawings (showing extent, location, and sizes) and in the specification (describing quality of products and workmanship). 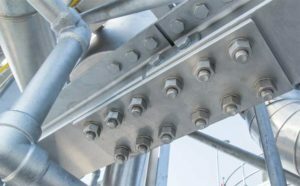 The extent of delegated design for these component types is usually restricted to design of the fastenings to structure (and seismic restraint in areas subject to earthquake loads). Comparatively, deferred design relating to pre-manufactured or pre-engineered components is covered under assigned design and design solutions provided by a supporting certified/qualified contributor. Handrail and guard loads are described in the building code and can be referenced as part of true delegated design, but the sizes of the members and path for transferring these loads shown on the drawings must be constructible while allowing for a design solution. Often, the ‘delegated design’ annotation is written on the drawing set by a well-meaning technologist that did not confer with the RPR. Contrary to many contractors’ opinions, deferred design is appropriate professional conduct and a normal course for provision of design solutions using integrated production of construction documentation and delivery of constructible solutions. Essentially, a design professional can delegate through (as an RPR) or accept delegation from (as a supporting registered professional) a constructor for the design of ancillary building components, systems, or elements. Items being delegated that involve the design services of a registered or licensed professional—be it an engineer, architect, or interior designer—must be clearly stated with respect to the design solutions required and the fact those solutions require involvement of a registered professional. The RPR is required to review and determine whether the deferred design component is in general conformance with the overall project design requirements and can be integrated into the project as an informational submittal. Other members of the design team managed by the co-ordinating registered professional (CPR) can provide comments on the design solution as an action submittal (submittals [along with specifications, shop drawings, and other documentation] will be discussed in more detail in the third part of this article series.). The RPR must provide written notification of any decisions or modifications required to match performance with project design requirements. Modifications to any submittal cannot alter the inherent design provided by the supporting registered professional, particularly where that direction adds requirements not clearly supported by the drawings or specifications. The RPR can reject the design solution provided by the supporting registered professional if clear explanation is provided to justify the rejection (such as insufficient detail or solutions changing the fundamental design of the project). 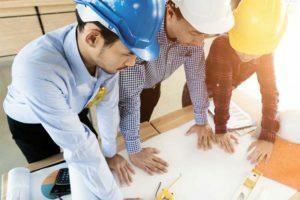 Deferred design is applicable to all forms of contract delivery, including traditional design-bid-build, construction management, and design-build. It is a key component of the integrated project delivery process and building information modeling (BIM). It also cannot happen without substantial participation of the RPR. The fact this entity does not have the requisite skills or knowledge to perform the design in-house does not lead to a blank statement of deferred design. RPRs must retain their roles for key decision-making responsibility as defined within their individual areas of discipline practice. Deferred design must only happen at their direction. It cannot be instigated by others that may be working on document presentation without the knowledge and acceptance of the component affected by deferred design by the RPR. The RPR is responsible for describing deferred design requirements using clear, concise, and correct language that creates an explicit instruction to the constructor for the responsibilities and limitations associated with providing design solutions. The RPR can neither assign professional responsibility for completeness of design through the deferred design process nor reassign responsibility for design to the constructor. Content of deferred design must comprise outcomes that do not form a part of the normal practice or reasonable knowledge of the CPR that could have been completed by obtaining specialist design input from other RPRs during the production of construction documents and constructability reviews. It must also consist of design solutions that enhance construction co-ordination and project outcomes as a result of responsible deferral to the constructor, particularly where final configuration, connections to adjacent construction, and scheduling are highly influenced by the contractor’s contractual requirements and project deliverables. 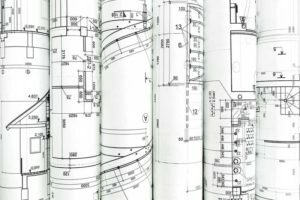 Deferred design and any loads or engineering guidance must be clearly described within the drawings and specifications prepared for the project. The RPR cannot simply rely on general notes on drawings or blanket statements within the specifications to satisfy the requirements for appropriate communication to the constructor. Further, deferred design communication and documentation must be achieved by using a performance-based specification approach instead of prescriptive or proprietary specification. The difference between these two approaches is critical to the explicit communication required by the constructor. One example of inappropriate deferred engineering could occur if a structural engineer unintentionally omits critical annotations fully describing the size of steel members and the loads and eccentricities that are associated with the connections between them. Proprietary or prescriptive specifications establish detailed material descriptions and the manner in which the work is to be performed. They often include lists of acceptable products or single basis-of-design products, which the constructor is required to follow without deviation except where specifically accepted by the RPR through a formal substitution process. These specifications also contain an implied warranty: if followed, they will provide an acceptable result for the project, which remains the responsibility of the RPR. Performance specifications establish the objective or standard necessary for the component outcome, requiring the constructor to exercise ingenuity in achieving the stated standard of performance and fulfill contractual obligations in selecting means and methods. The corresponding responsibility for selection of the design solution is deferred to the constructor, which essentially assumes the role of designer with respect to deferred design elements or components described. This is the key reason for reliance statements as a submittal indicating the constructor’s ability to undertake the deferred design responsibilities. Deferred design does not improperly shift design responsibility to the constructor as long as the documentation provided by the RPR states clearly the limits of design involvement and describes the required design solution using explicit language. The constructor is not a design professional and must obtain the services of appropriate supporting registered professionals or supporting certified/qualified contributors early in the construction phase of the project to allow for appropriate communications and co-ordination with the RPR. The constructor also remains responsible for promptly identifying any errors, inconsistencies, or omissions within the contract documents once the supporting registered professionals or supporting certified/qualified contributors are engaged, but does not assume the RPR’s design responsibility by providing design review or constructability analyses. It is the contractor’s responsibility to perform co-ordination between components forming deferred design content and the construction documents provided for the project, and to obtain interpretation where ambiguities, disconnects, errors, or omissions within the information provided make interpretation of the RPR’s design requirements unclear. Further, the constructor is responsible for including costs and risks associated with deferred design within the construction documents issued for bid and confirming design requirements contained within the specifications are appropriate for the risks being taken on under contract. The constructor’s supporting registered professional or supporting certified/qualified contributor assumes similar liabilities in creating design solutions through the process of submitting supporting documentation in the form of reliance statements and sealed and signed shop drawings. This establishes a similar relationship with the CPR as the other contributing RPR for performance associated with providing the design solution. There is no transference of project liability for design and engineering from the RPR—only an appropriate level of liability associated with providing the design solution based on the building component or element being deferred to the constructor. The RPR’s review of design solutions provided by the constructor is only for general conformance to the required design or engineering for the project (informational submittal). The duty for correctness of the design solution remains with the constructor. Deferred design having reliance on engineering or safety (delegated design) concerns must be performed by a supporting registered professional and submittals must contain the seal and signature of a professional engineer, architect, or other licensed professional for the design solution. 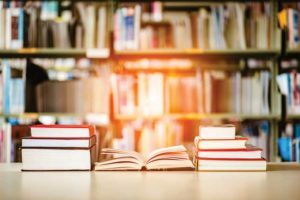 These submittals cannot alter the fundamental design requirements presented by the RPR without a formal request for interpretation or substitution. 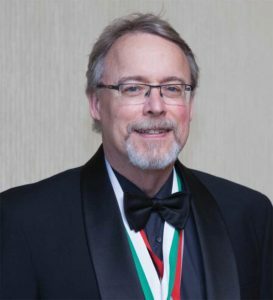 Keith Robinson, RSW, FCSC, FCSI, has worked as a specifier since 1981 and is currently an associate at Dialog in Edmonton, Alberta, responsible for research and development of technical specification content. His range of experience includes contract administration, building envelope detailing, and writing construction specifications. 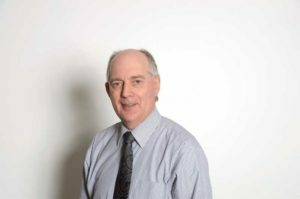 In addition to working on projects across Canada and in Egypt, Japan, and Costa Rica, Robinson also instructs courses for the University of Alberta, acts as an advisor to several construction associations and building trades committees, sits on several standards review committees for ASTM and the National Fire Protection Association (NFPA), and is the Registrar for CSC’s Board of Directors. He can be reached at krobinson@dialogdesign.ca. 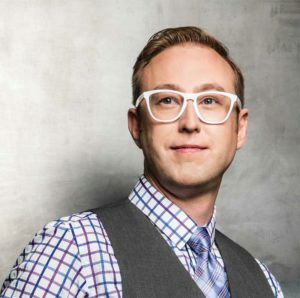 Cameron Franchuk, PE, is a structural engineer at Dialog, where he creates impactful spaces that build communities, but in reality he wears many hats: engineer, educator, and mentor. Franchuk has a deep understanding of architectural concepts and building science. Integration of all disciplines is at the forefront of his thinking throughout a project, from conception to completion. His work on low-, medium-, and high-rise buildings, parkades, and pedways throughout Western Canada has helped shape communities. Franchuk can be reached at cfranchuk@dialogdesign.ca. Gerald Murnane is an associate, contract administration, with Dialog. He has been in the industry for 44 years in both Ireland and Canada. He joined Dialog in 1988. Murnane has an in-depth background in the design, specification, and management of complex construction projects. He is well respected in the industry for his senior construction administration expertise. Over the years, he has built strong owner/contractor/designer team-based relationships and has a passion for resolving complicated issues as they arise. Murnane can be reached at gmurnane@dialogdesign.ca.